Sydney Royal Show 2016 with a team of two junior bulls. Awarded Reserve Junior Simmental Bull with Mala-Daki Red Amigo K649 an AI son of GCF Mr Amigo. Awarded Champion Pair of Bulls under 24 months with Mala-Daki Red Amigo K649 and Mala-Daki Red Top Gun K660. Adelaide Royal Show 2015 with a team of 2 babies. Awarded Junior and Grand Champion Simmental Bull with our 13 month bull calf Mala-Daki Red Amigo K649 an AI son of GCF Mr Amigo. This young bull was the calf at foot on the Grand Champion Simmental Cow from Sydney Royal 2015 and Canberra Royal 2015. The Land Southern Beef Week is on again at Mala-Daki this year. We are open on Day 6 - Saturday August 1st from 9 am. Look forward to getting visits from cattle enthusiasts. 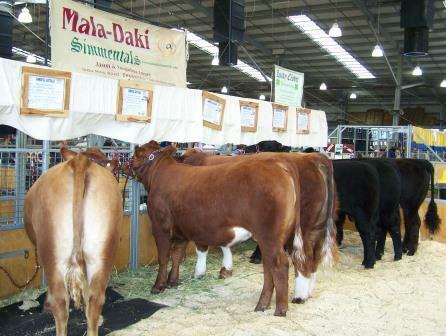 Mala-Daki and Lucky Clover Simmentals travelled to Rockhampton Qld for Beef Australia 2015. We were awarded Champion Calf (Lucky Clover Ferrari K69) and Reserve Champion Calf (Mala-Daki Ferrari K639). Both sired by Mala-Daki Ferrari F463. Sydney Royal Easter Show, Mala-Daki Simmentals won Grand Champion Simmental Female with Mala-Daki Rosanne and her GCF Mr Amigo calf at foot. This followed Rosanne's Grand Champion performance at Royal Canberra Show 2015 and Gunning Show. Also at Sydney Royal Easter Show Mala-Daki Simmentals won a Gold Medal for a Pure Bred Simmental Steer sired by Mala-Daki Ferrari F463 - 1 of only 10 Gold medals awarded. Lucky Clover Simmentals were awarded a Silver Medal also for a Pure Bred Simmental Steer sired by Mala-Daki Ferrari F463. RAS All Breeds Sale - Sunday 13th April 2014 at 5.00 pm at the Amphitheatre at the Showgrounds. With Lucky Clover Simmentals and Ausbred Black Simmentals we headed to Royal Melbourne Show to represent NSW. It was a great week with a fantastic display of Simmentals. Congratulations to all exhibitors. On a very cold and windy day we held our open day as part of The Land Ausmectin Southern Beef Week. An enormous thankyou to all the true beef enthusiasts who braved the extremely cold conditions to join us on Sunday. Over 35 visitors came from as far away as Goolma, Hannam Vale, Schofields, Tumblong, Nerriga, Braidwood, Warrimoo and not forgetting all of the locals. There was a good interest in Simmentals and a great clearance of Black Simmental, SimAngus and Traditional Simmental bulls on the day. A big thanks to all visitors and buyers and of course The Land and Ausmectin International Animal Health Products. What a great photo taken by Shannon Lawlor of the Crookwell Showgrounds on Sunday morning. Next on the Calendar, Melbourne Royal Show at the end of September featuring a line up of junior bulls and females. Weaning is over for another year with some handy bulls and heifers. 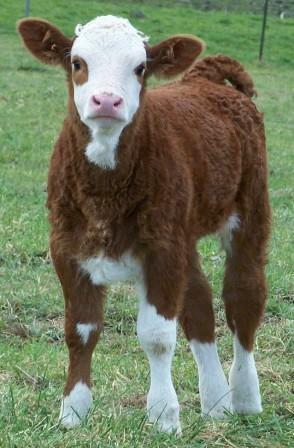 Please put Sunday 4th August in your diary - Southern Beef Week at the Crookwell Showgrounds. 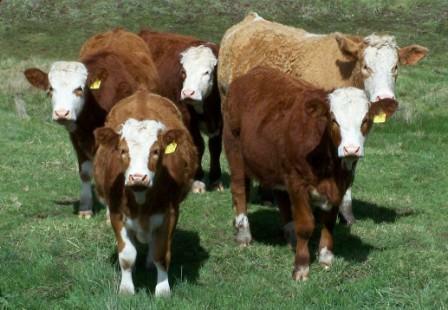 We will have a display of cattle including bulls and females available for purchase on the day. Hope to see as many as possible. Photos of Sale animals will be added to the website soon. Please join us on Facebook ! Photos from Sydney Royal 2013 have been added to the Photo Gallery. Bulls calves have been weaned and here are 2 - one sired by Mala-Daki Bull Dozer E421 and the other by Mala-Daki Ferrari F463. The count down is on for the 2013 Sydney Royal Easter Show. 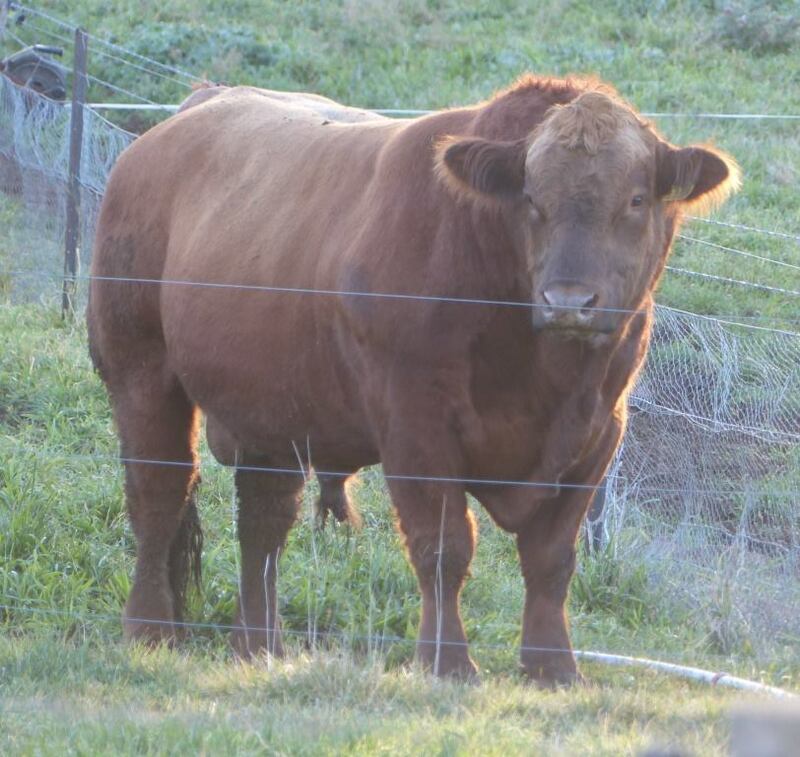 Moss Vale Show this weekend (9th March) to showcase our bulls we are offering for sale at the Sydney Royal All Breeds Sale on Sunday 24 March 2013 (6.30 pm). Sydney Royal Simmental judging - Friday 22 March at 12.30 pm. It has been a busy start to the year with Crookwell, Gunning and Canberra Royal Shows. Moss Vale Show this weekend and then off to Sydney Royal. Look forward to seeing as many of you as possible at this year's Sydney Royal. On Sunday 29 July 2012 Mala-Daki, Lucky Clover and Wendouree joined Simmental forces during the Ausmectin Southern Beef Week run in conjunction with The Land Newspaper. We decided to hold the event at the Crookwell Showgrounds to maximise exposure and provide easy access. There was a display of over 100 head of Traditional, Red and Black Simmentals and SimAngus bulls and females. There was a steady flow of visitors through out the day with over 40 visitors taking the trip to Crookwell. There was a lot of interest from all visitors and we would like to thank all the visitors who took the trip out to Crookwell. 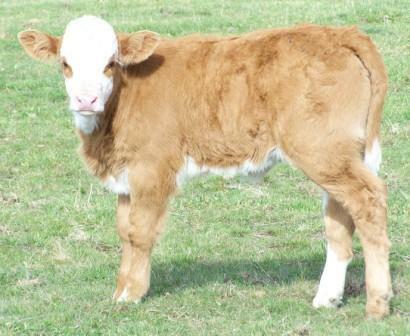 Our Latest Sire Mala-Daki Ferrari, Red Simmental. Go to Sires. Sydney Show saw us come away with Senior Champion Bull with our Black Simmental bull Mala-Daki Bull Dozer E421. He was Junior Champion in 2011. See Show Results for more information. We sold Mala-Daki Xavier F480 at the RAS All Breeds Sale and he has gone to Narrabri. Thankyou to the purchaser of this bull. Congratulations to all exhibitors for a fine display of Simmentals. It was a return to Camden Show that gave us a thrill to meet and be sashed by Glenn McGrath. Junior and Grand Champion Simmental Bull and Junior and Grand Champion Simmental Female. Lucky Clover Simmentals were awarded Reserve Junior Champion Bull. Canberra Royal Show was a return for us after several years absent. We were not disappointed with a string of awards: Reserve Junior Female Champion, Senior Champion Bull, Junior, Grand and Supreme Champion Bull. See the Show results section for more detail. Crookwell and Gunning Shows have come and gone. We were successful with Senior Champion Bull and Reserve Champion Female at Crookwell Show. We went to Gunning Show for our first time and were pleasantly surprised with Supreme Beef Exhibit, Junior Interbreed Bull, Junior Interbreed Female, Pair of Females and Breeders Group. Congratulations to all exhibitors at both of these shows. See photos in the Photo Gallery. Where has the start of the year gone ? It's show time again with our local Crookwell Show this weekend and a return to Canberra Show at the end of this month. 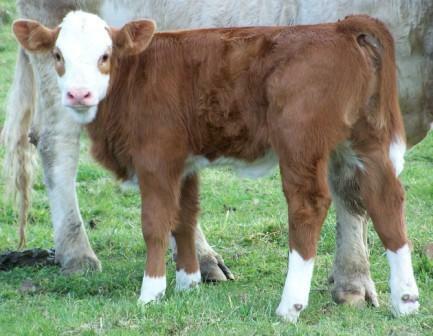 Hope to catch up with fellow Simmental breeders and enthusiasts over the coming months on the show circuit. Well the 2011 Spring Simmental Spectacular was a great event. Congratulations to all the organisers of this event and to all owners of cattle. This was our (well Jason's) first attendance at the Camp and thought it was really well organised and run. Well done to the Queensland juniors. Royal Melbourne Show - Junior Champion to our heifer Mala-Daki Lilibet F441. We were very excited with this win and also excited to be representing Simmentals in the Junior Interbreed. Congratulations to Jess being awarded Junior Handler. The photo gallery has been updated with photos from Royal Melbourne Show. This is a busy month with the 2011 Spring Simmental Spectacular happening on the 24th and 25th at Clifton in Queensland and the Melbourne Royal from the 27th. We are again proudly sponsoring the Queensland Junior Simmental event and wish them every success with the camp. This is a fantastic opportunity for juniors to get together with their peers and learn some great cattle skills and have a great time. We are taking a small team to Melbourne Royal along with the lovely girls from Lucky Clover Simmentals. Good luck to all exhibitors at Melbourne ! The Country Capital Simmental Sale has been and gone and we are pleased with our sale results. Selling 7 of 8 and topping the Sale twice, with 2 of our Black Simmental bulls and topping the Sale with our Black Simmental heifers. Two of our Black Simmental bulls topped the Sale at $4,000 and our two black Simmental heifers topped the Sale at $4,200 and $3,900. Please go to the Sale Results page for more detailsA big thanks to all purchasers, underbidders and supporters of us and the Sale. It is very much appreciated. Thanks to Patrick Purtle, Samuel Plevey and the whole Purtle Plevey team for their work on the Sale. Thankyou also to the staff at the Tamworth Saleyards. A good snow fall on the 21st of this month has sure put some moisture into our place. Have a look at the photos in the photo gallery. Please have a look at our Show Results 2011, For Sale and Photo Gallery for the latest news and photos from Sydney Show and the upcoming Country Capital Simmental Sale in Tamworth in August. Thank you to all purchasers of our heifers at the RAS All Breeds Sale which was held in conjunction with the Sydney Royal Easter Show 2011.